London-based gallerist Ceri Hand has announced that the gallery in Southwark is to close at the end of April. Originally founded in Liverpool in 2008, Hand relocated the gallery to London in July 2012, initially at a pop-up space in Covent Garden; the first show in London was by the artist Mel Brimfield. The gallery moved into its current premises on Copperfield Street, Southwark – formally home to Poppy Sebire Gallery – in 2013. The gallery represents 12 artists, including Juneau Projects, Samantha Donnelly, Doug Jones and Henny Acloque. 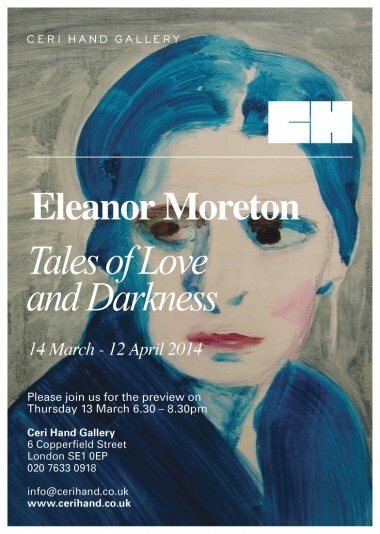 The gallery’s current show, which runs until 12 April, is Eleanor Moreton’s Tales of Love and Darkness.